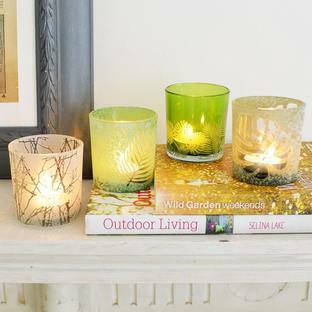 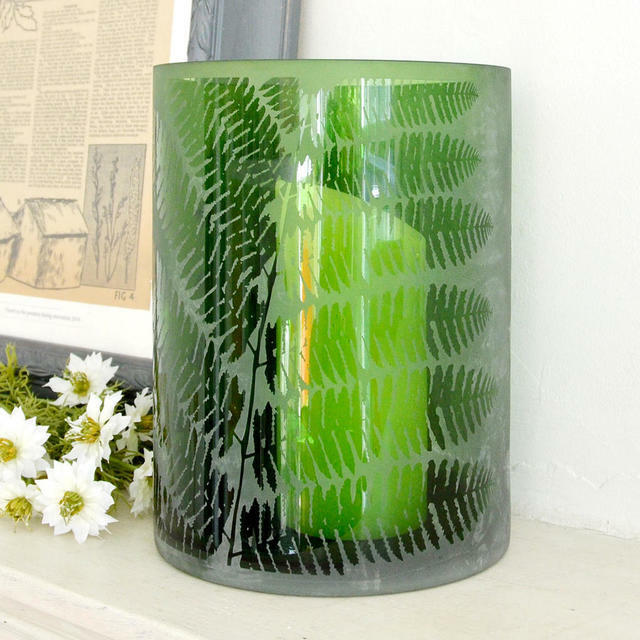 Deliciously elegant green glass hurricane lantern with a large leaf design. This large over-sized hurricane lantern in crisp green glass to reflect the light from a candle, creating a delicious shimmery effect. 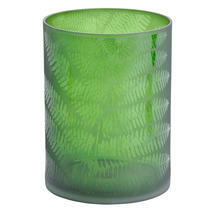 The glass is etched to reveal a luscious leaf design. 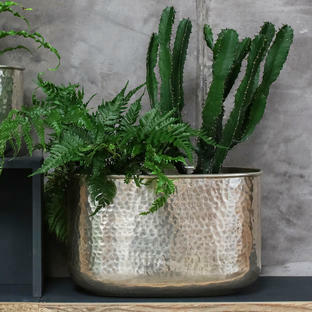 Perfect for those balmy summer evenings and alfresco summer parties. 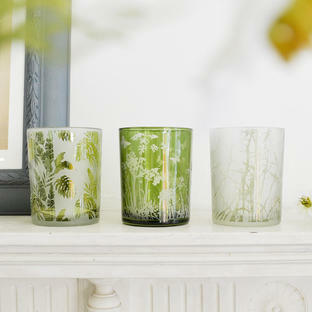 Made from glass with etched glass surface.